Provide the highest level of service and satisfaction for our customers while utilizing all of our resources to operate a profitable organization and have as much fun as possible. We will continually search for new and innovative ideas to add value for our customers. We will partner with Industry leading manufacturers to insure our customers are informed about new products and services that will help to add value and cut labour costs through innovation. 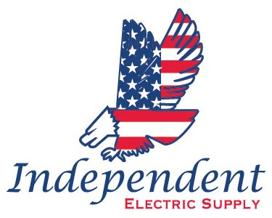 Independent Electric Supply is a family owned and operated company established in 1992. With a modest beginning, dreams of success, realistic plans and an abundance of hard work, Independent Electric has grown significantly. From a single location with just a few employees, one truck and minimal inventory, we have grown into five locations across Massachusetts and New Hampshire with deep inventory, a fleet of trucks and many more employees than we ever imagined. For more than 25 years, we have been delivering quality products and innovative services to a variety of customers in different markets including: Construction, Industrial, Commercial and Municipalities. We have a vast inventory in our locations to support new construction, building renovation, and MRO. Our dedicated employees help our customers every day by adding value through our project management services, logistics capabilities and technical resources.